I usually get inspiration for craft projects from the simplest things. Often I'll take something such as a color or texture and build upon it. 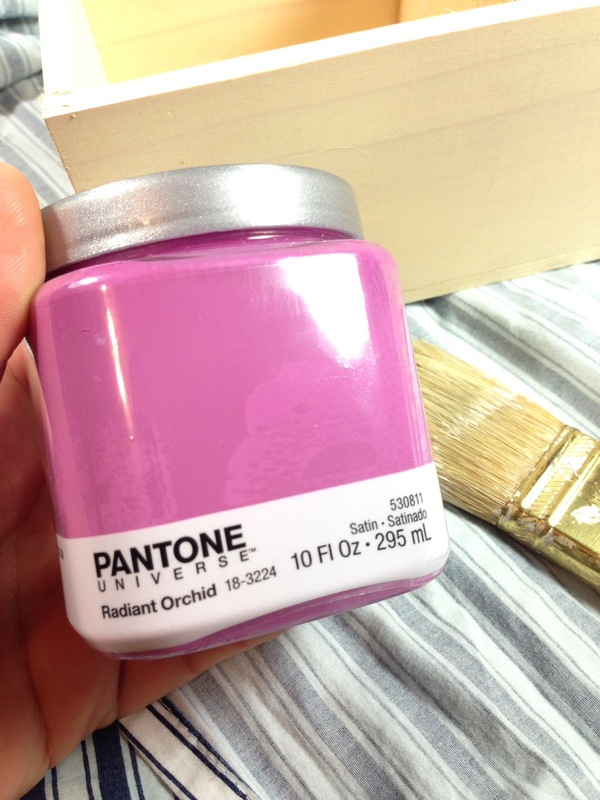 My inspiration for this project came from Pantone's color of the year, Radiant Orchid. I was intrigued by this. I never knew there was actually a "color of the year". How exactly IS a color chosen? Who chooses it? and most importantly; What happens to the runner-up? 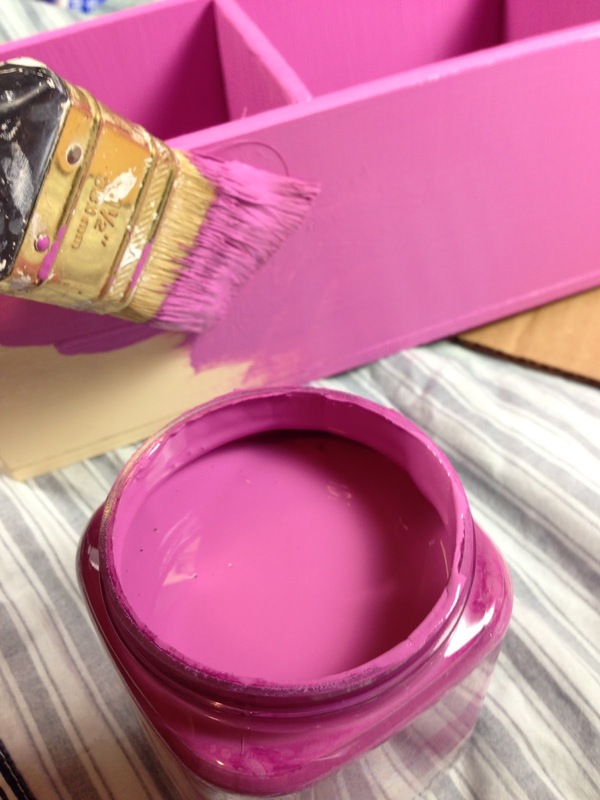 Anyway, I really love the color, it's a unique shade of purplish pink and is pigment rich. 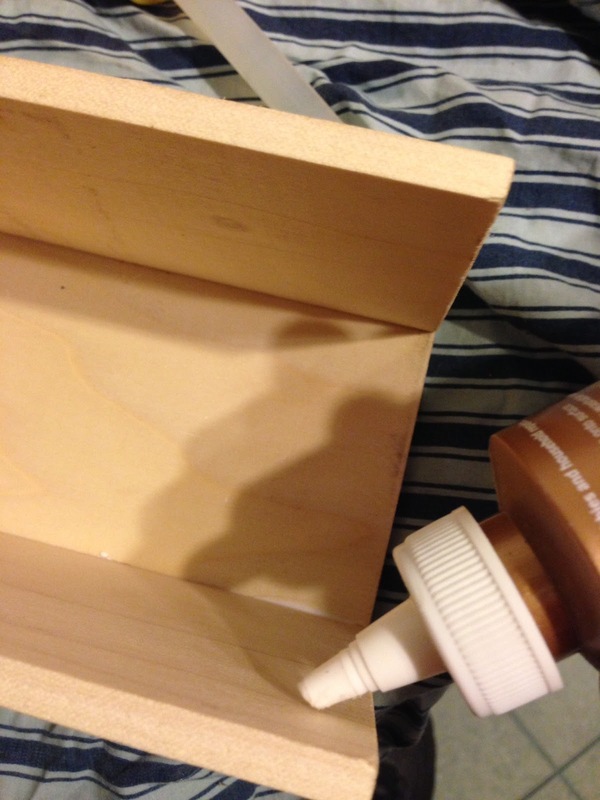 I've been wanting to make a wooden container for a while and decided this was perfect color for incorporating into the project. 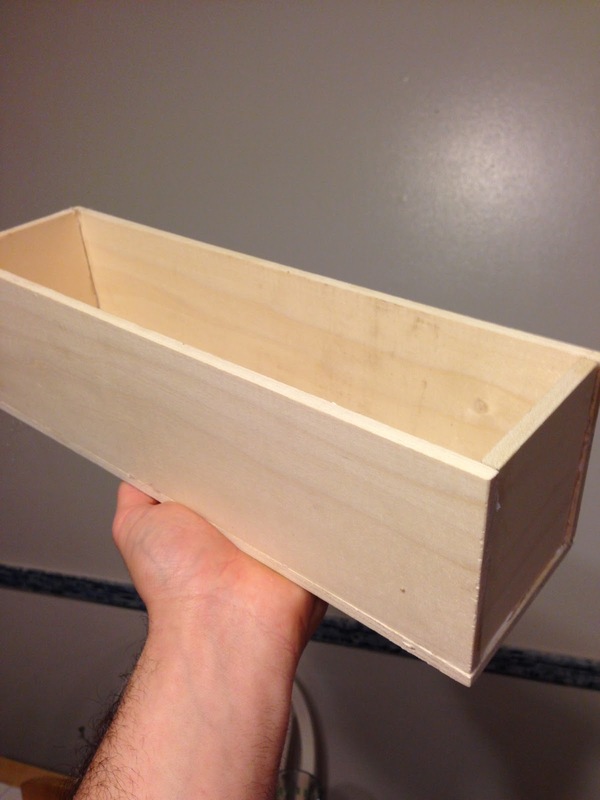 Making this container is surprisingly easy. It's actually made from a single piece of wood! The front is simply decoupaged with a magazine page using a water resistant medium from Martha Stewart Crafts. Keep reading and I'll show you what you need and how easy it is to make! 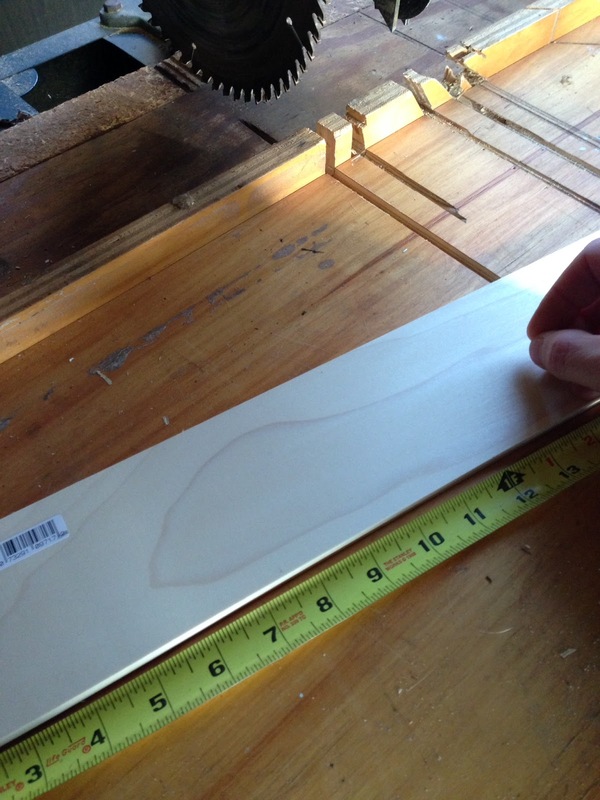 Saw the wood into three 123/4" pieces. 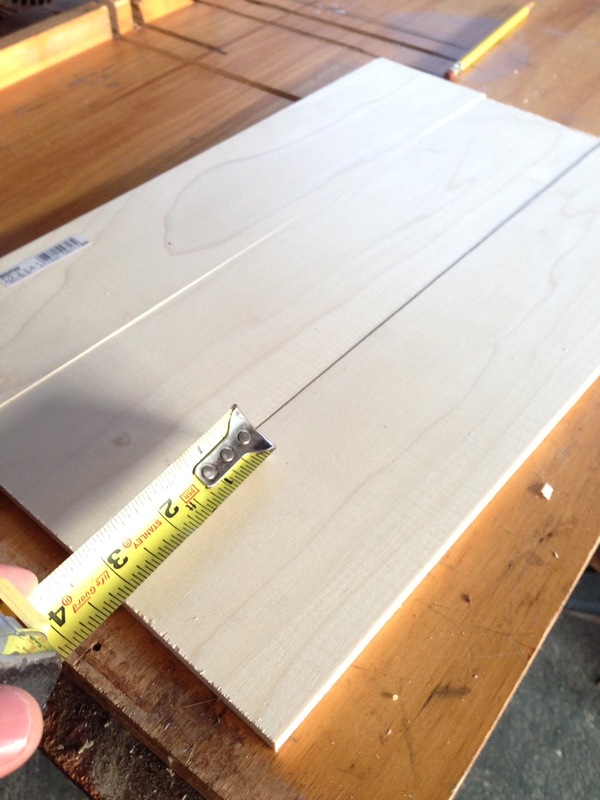 Don't mark the entire piece ahead of time since you'll end up short unless you account for the thickness of the saw blade. My saw blade was 1/8" thick. 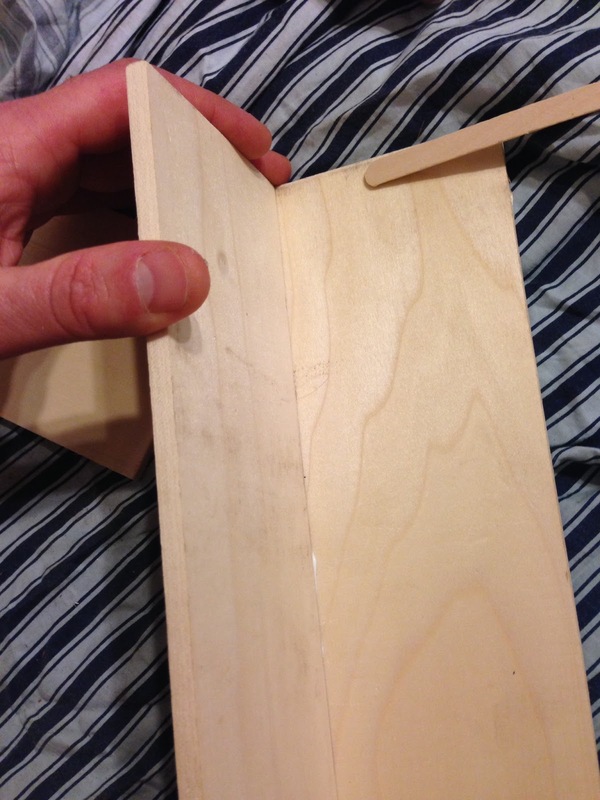 Next, cut four 3"pieces for the two sides and two dividers. 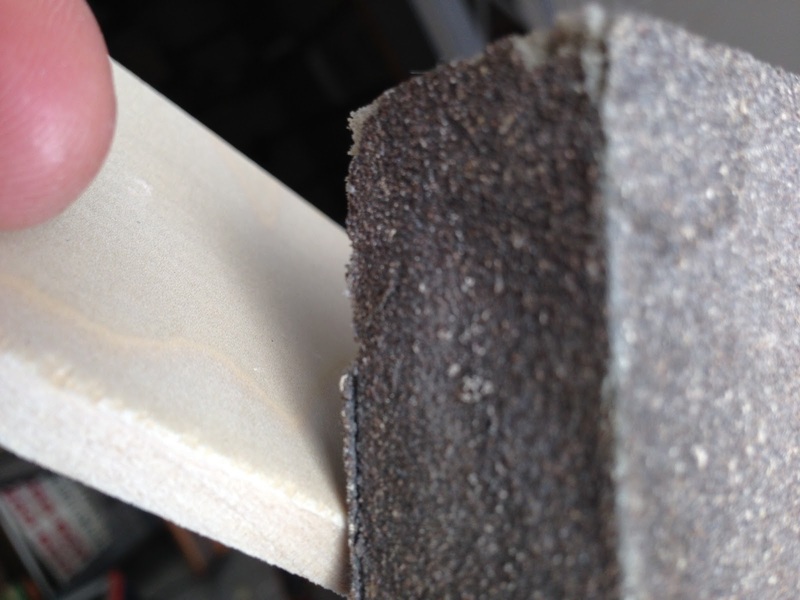 Roughly sand all the sides using a sanding sponge. I LOVE sanding sponges. 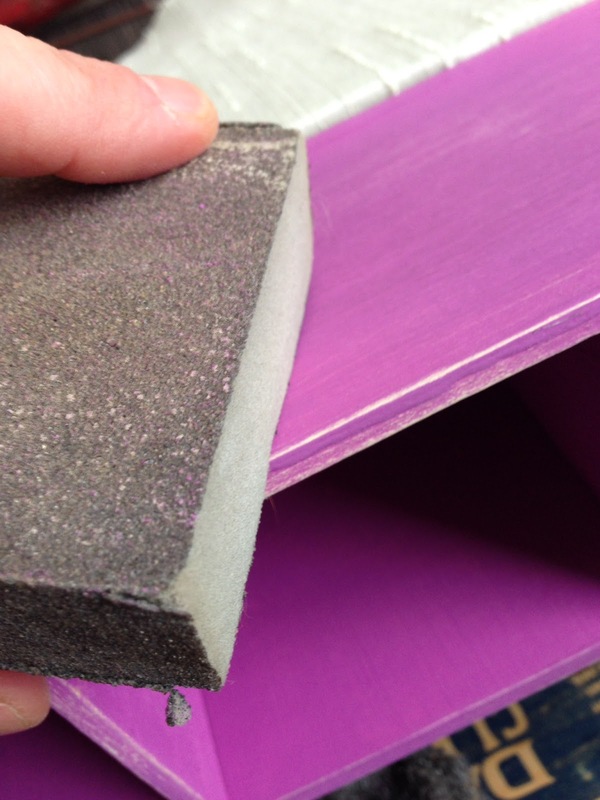 They are a little pricey but much easier to use than thin sheets of sandpaper. It's something about the sponge shape that gives it an ergonomic design allowing it to sit nicely in the palm of the hand giving you better control. 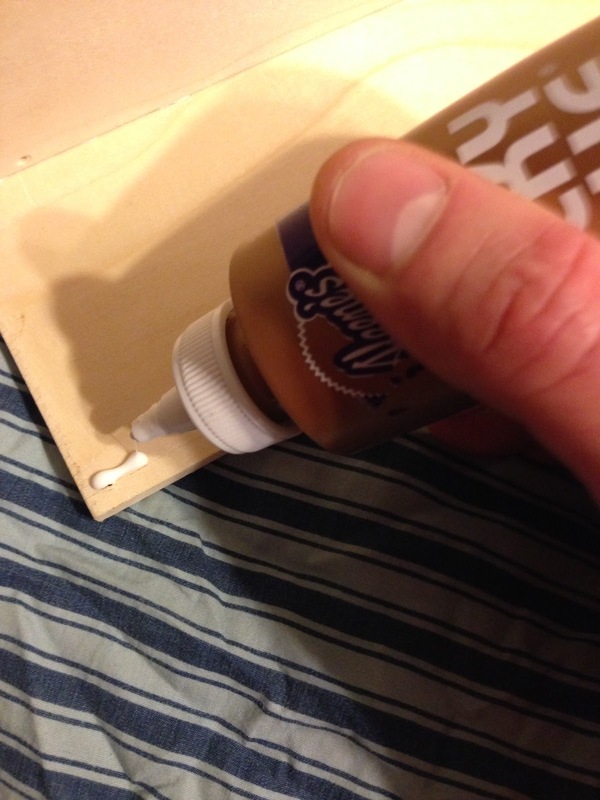 You can easily assemble this using wood glue. Simply use a clamp to hold the pieces in place until dry. You'll want to put both sides ON TOP of the bottom piece. Use the clamps to secure in place. After the bottom and sides are dry glue on the end pieces. 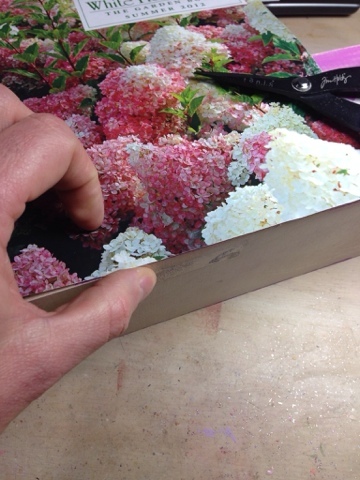 You may also want to glue in the dividing pieces at this time also. Once again use the clamps to hold in place until dry. 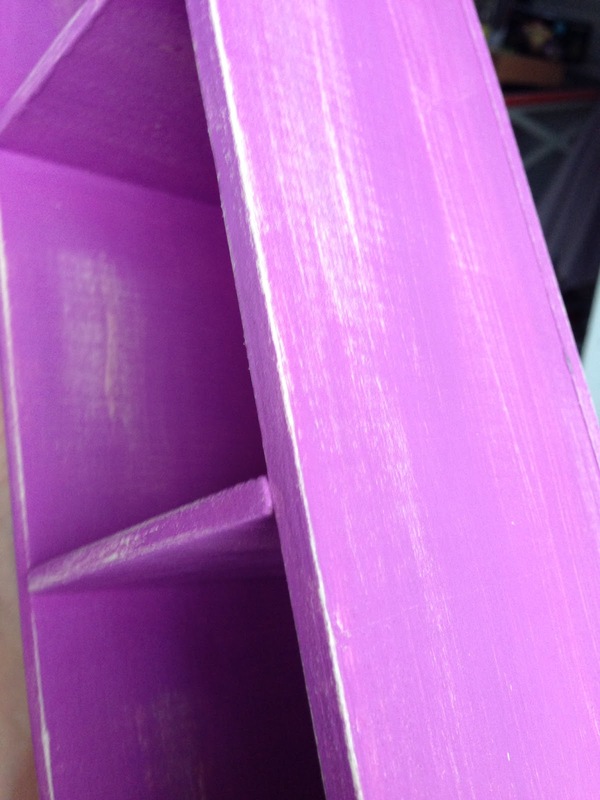 Before proceeding it is a good idea to give the piece a good sanding to remove any rough edges or excess glue. Your now going to want to give the piece a base coat. 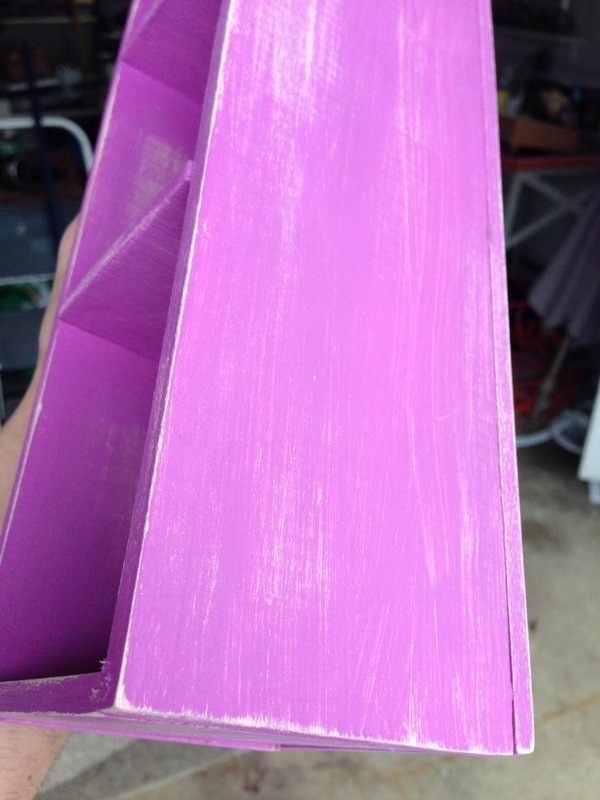 This should be the color you want to show through when you distress the top coat of paint. 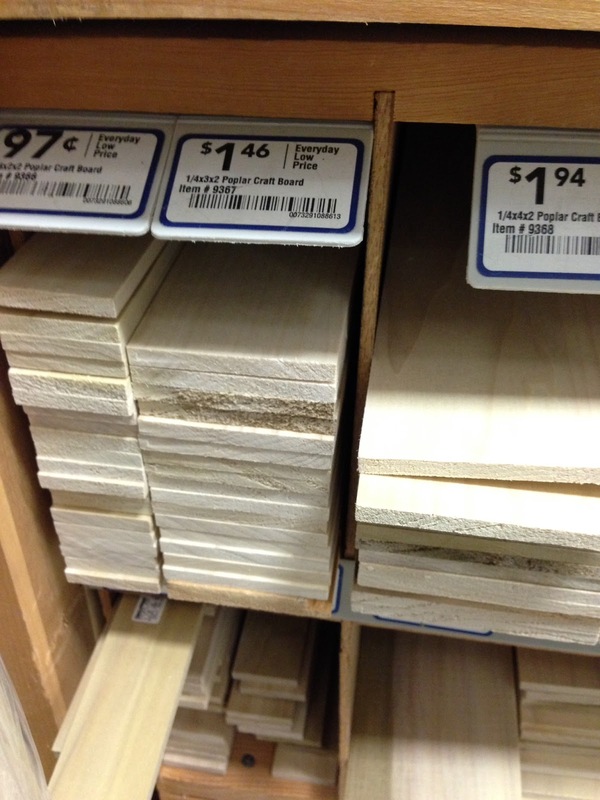 I chose ivory which is close to the shade of the wood's natural color. It's a good idea to apply two coats although not completely necessary. 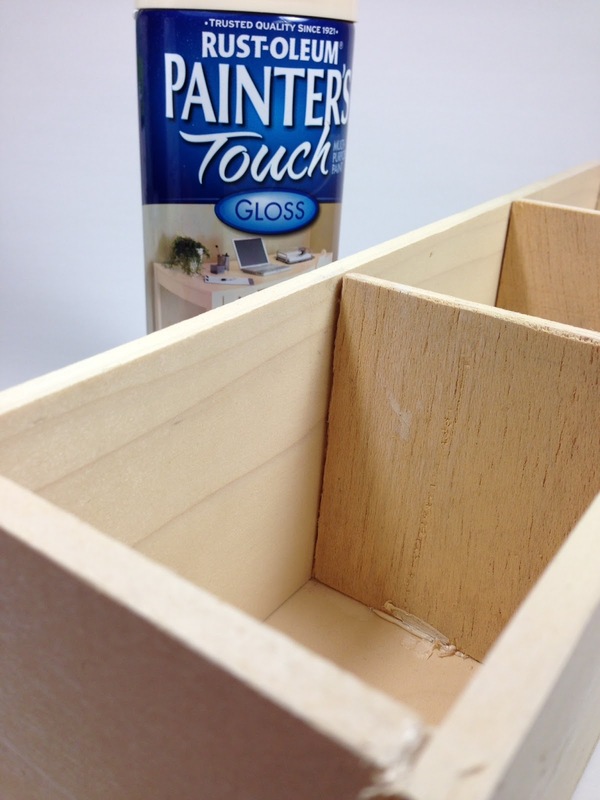 After the base coat is dry you can apply to top coat. In this case the top coat is Pantone's Radiant Orchid. You'll probably want to put on two coats of this also. Now this is the fun part, distressing the wood. 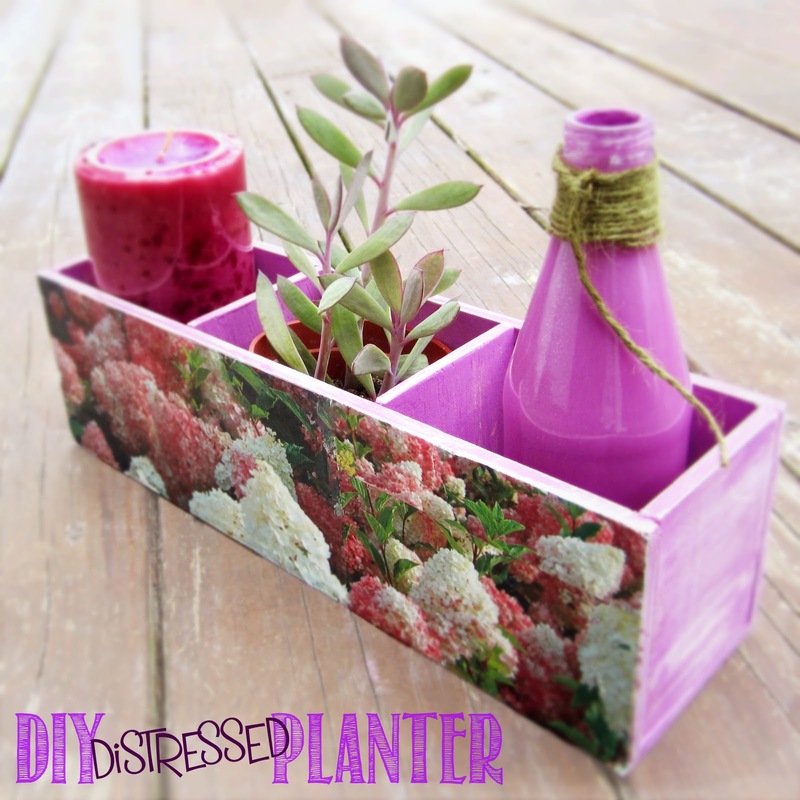 Get out the ball pien hammer, steel wool, sanding sponge and start "distressing." This is actually very easy. Sand the edges so the base color starts to show through. 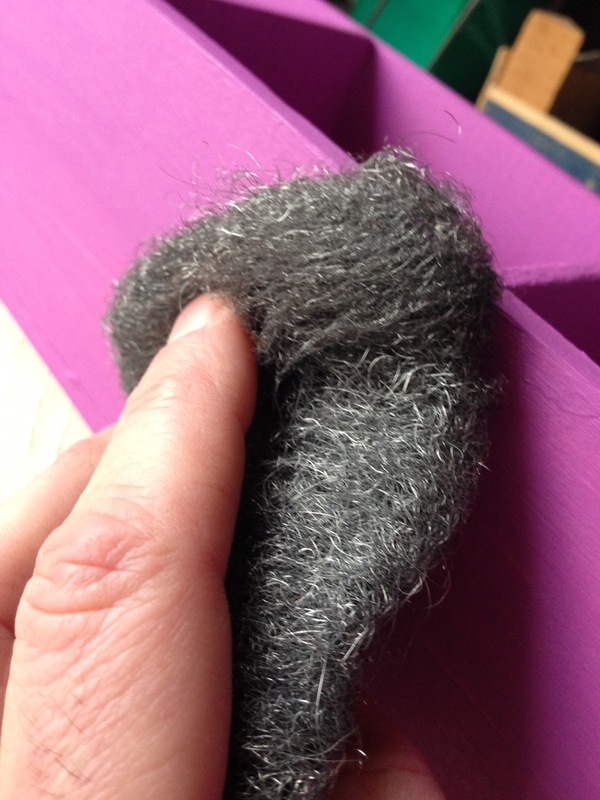 Use the steel wool or sanding sponge and sand WITH the grain of the wood. You want to give the wood a look like it's been around for decades. 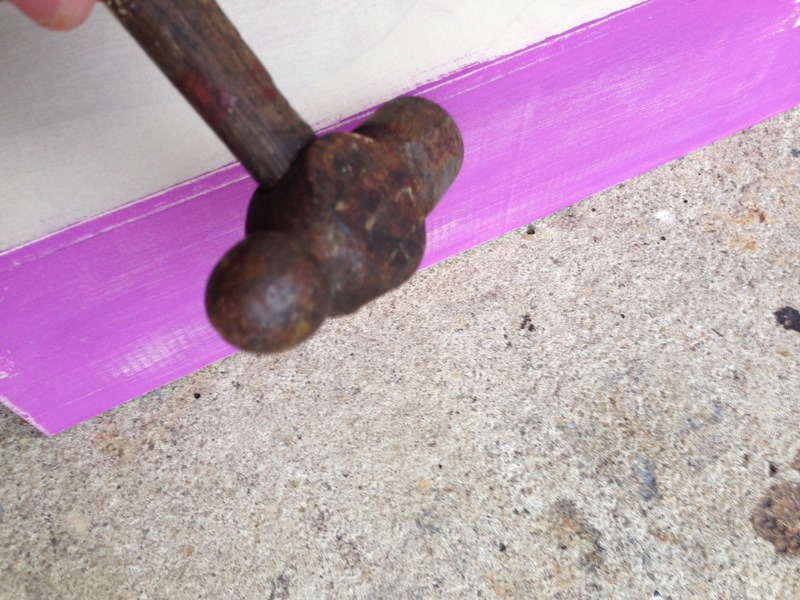 Hammer in random places to make it look like the wood has been knocked around. This step involves decoupage. 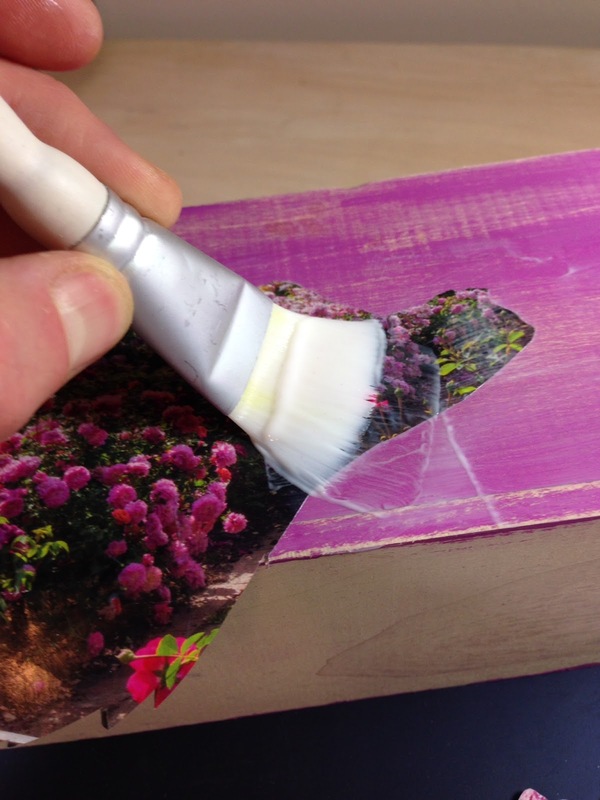 If you happened to wander upon the site and you're not familiar with decoupage, it's basically gluing paper onto a surface and sealing it with the same glue. Simple right!? For this project I'm using pages of garden catalog. You can basically decoupage with any paper. 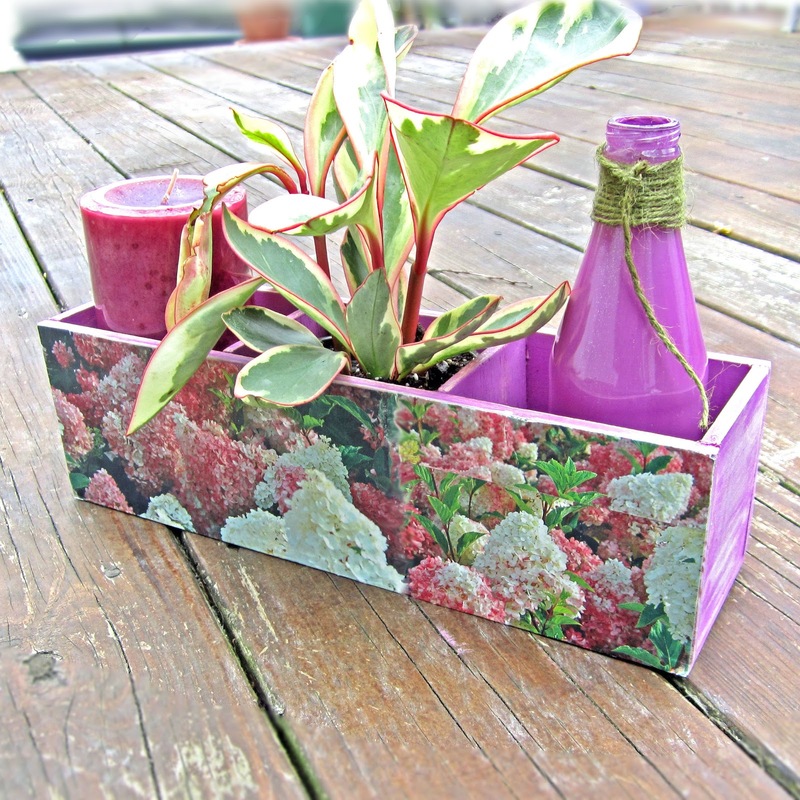 Mod Podge is a classic for decoupage. You can visit this website for all kinds of ideas and detailed instructions. I used Martha Stewart Decoupage Medium. It's perfect for indoor/outdoor use and is water resistant. Let the decoupage dry about an hour and apply one additional coat for extra protection especially if your keeping it outdoors. You're now ready to fill your container with anything you like. You might be so proud you'll place it front and center on your mantle. 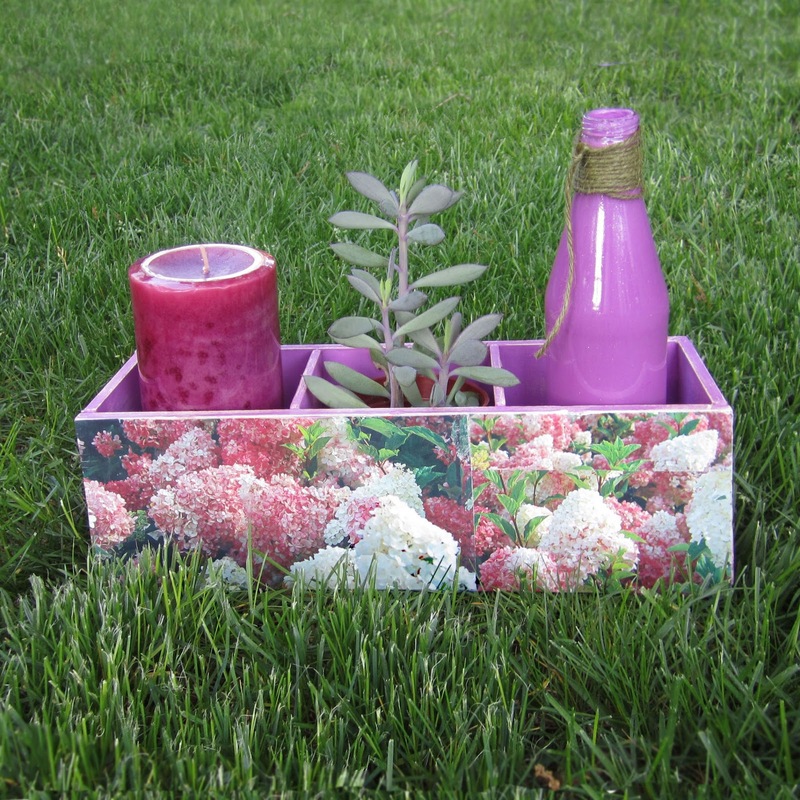 Maybe you'll fill it with plants and keep it on the porch. I think you'll be pleased no matter what you decide to do with it. Please be sure to follow or subscribe for upcoming posts. yes, it's actually not hard at all but thanks!